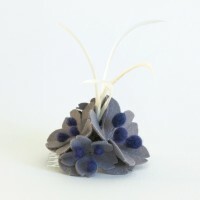 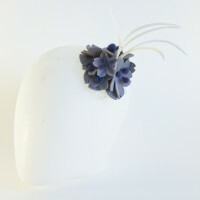 Grey and purple felt fascinator with feathers. 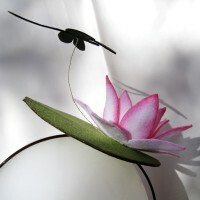 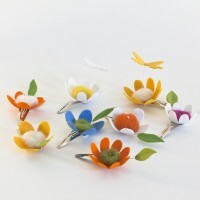 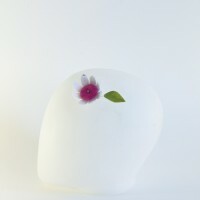 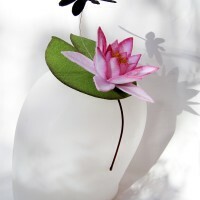 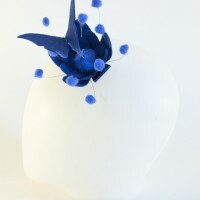 Elegant and ideal for ceremonies and important occasions. 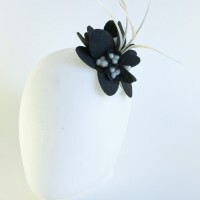 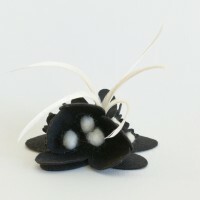 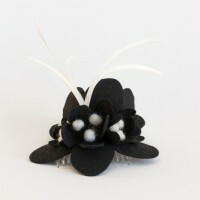 Black and white felt fascinator with feathers. 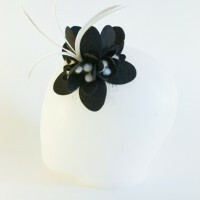 Elegant and ideal for ceremonies and important occasions. 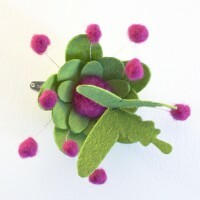 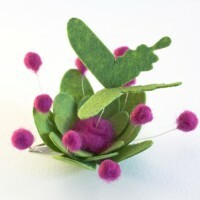 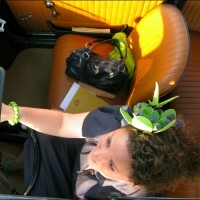 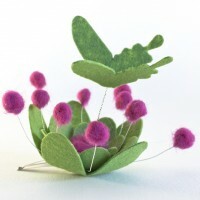 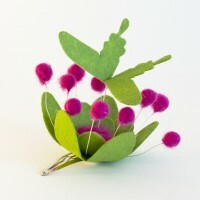 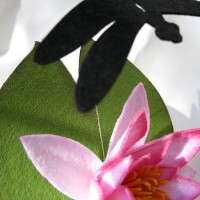 Green and pink flower fascinator with butterfly made with felt and natural wool. 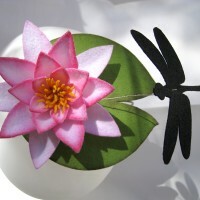 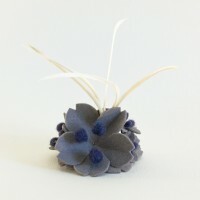 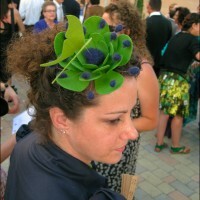 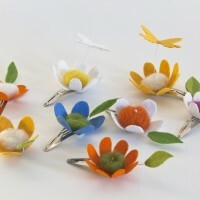 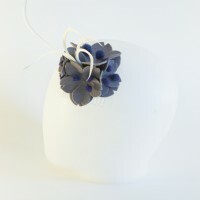 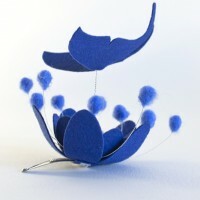 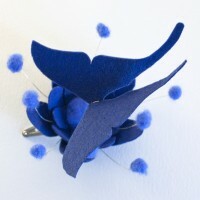 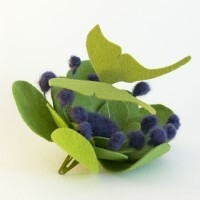 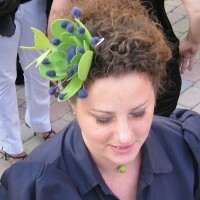 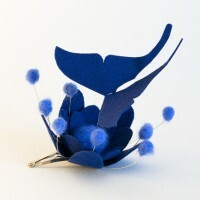 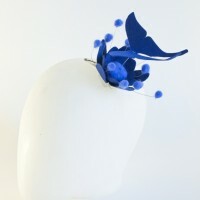 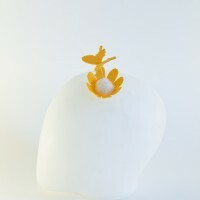 Blu flower fascinator with butterfly made with felt and natural wool.